What’s your favourite thing to do? 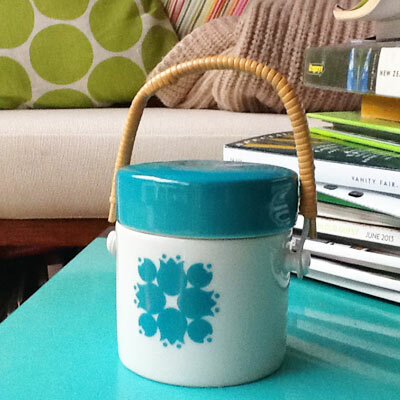 Using my new sugar bowl is on the list too – makes me smile, every time. “Mum, what’s your favourite thing to do?” asked Miss F the other day. I was a bit taken aback. Like most 9-year-old girls, usually her chat is based firmly on herself, her own awesomeness, her awesome friends or cute baby animals. But looking at her, I realised that she was genuinely keen to know something about me. Luckily I had a good (and true) answer ready. She smiled and nodded having recently learned the joy of that one. She was thoroughly happy with my answers and me. Bit of a pause as I quickly calculated whether food or sleep is my next greatest passion. More nodding. Then we ran through sleeping, eating cake and eating cake in bed after just waking up from a nap. In an Oscars-speech-style-faux pas, I realised I’d forgotten daddy, so I casually dropped him in there too, in about 15th position. Finally we had a long list of thing we both love to do and life was feeling very blessed indeed. Delicious, with a bit of power-nutrition packed in. 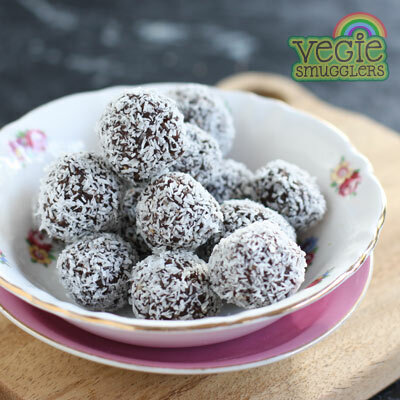 Thanks to the ever-lovely Sonia from Natural NewAge Mum for getting me onto bliss balls. The kids ADORE them. Soak the dates in hot water for 10 minutes to soften. Drain and add to a food processor bowl along with the pecans, oil, cocoa, chia seeds and ¼ cup coconut. Blitz until smooth, and then use your hands to roll bite-sized balls. Roll in the remaining coconut. Refrigerate for 2 hours until firm. your posts make me laugh and laugh… I am so with you on the reading, cuddling and eating!! what a great life we have !! yep. it’s pretty good, innit! Do you have a favourite brand of Coconut Oil? I am looking for a mild flavour. i like the spiral foods organic one. Had a chuckle at the Oscars comment – am sure hubby knows he’s at the top of the list! Or at least equal top with eating cake in bed while reading and cuddling the kids. Maybe if he was feeding you the cake…? Doesn’t like them or is allergic to them? Maybe try a half batch, with the nuts and see how you go – they’re all smooshed up in the mix and is doesn’t taste very ‘nutty’. It might be a good nut-smuggling recipe for you! Natalie they’ll keep for up to a week in the fridge. The coconut oil melts when warm so only ok in lunchboxes during midwinter. Made these yesterday for the in-laws for afternoon tea. So easy and so yummy!